Helena's life had always been quiet. In fact, she liked it that way. When her childhood friend returns home and tells her that she is the prophesied ruler of the Chosen, those blessed with the gift of magic, her quiet life goes up in flames. Suddenly Helena finds herself surrounded by a circle of protectors, each having sworn their loyalty to her since her birth. All except for one: her Mate. 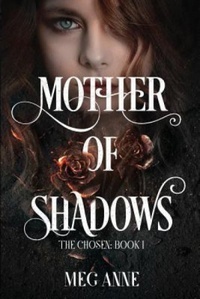 It's not enough that she learn how to use her magic and undergo a trial to prove her worthiness; in order to claim her title, Helena must also find the man who carries the other half of her soul. Exiled due to a past he had no part in, Von is the last man the Chosen expect Helena to select. Despite their protests, his soul calls to hers and there's no denying that he was made for her. But the prophecy stands and all isn't as it seems. There's an enemy lurking within plain sight who will stop at nothing to destroy her.